The College Psychologist plays an important role in relation to the pastoral care of students and their families. The major element of the Psychologist’s role is care of the general well-being of those students who request assistance or are referred by teachers or parents. Assistance is to be provided to students when issues of a psychological nature interfere with the normal progress and well-being of the student in the school or family setting. 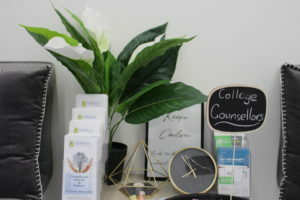 The College Psychologist can provide testing/diagnosis, interpretation referral and/or counselling for students, parents and staff where appropriate. Counselling provided will be for a short time only and the student will be referred to an appropriate agency or individual should that need arise. The College Psychologist provides advice to teachers, House Leaders, and Assistant Principals concerning student welfare and management and contributes significantly to the development of preventative programs in the personal development area throughout the College curriculum, most notably in the Pastoral Program.